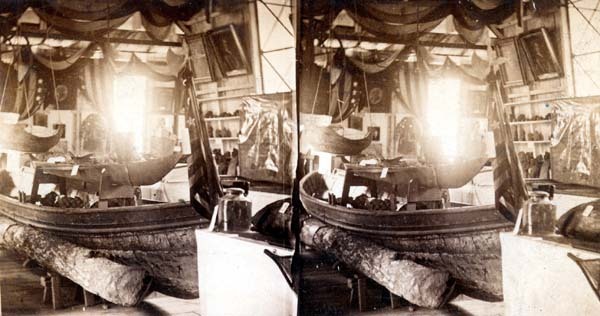 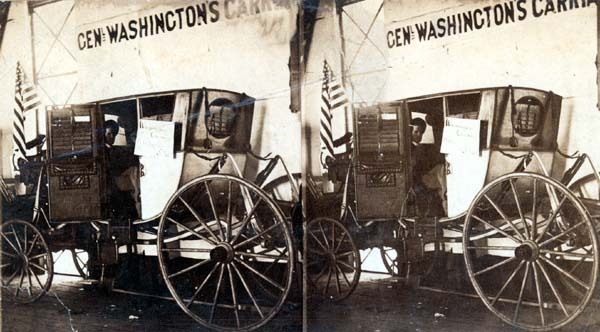 In 1861, the Philadelphia branch of the relief organization, the United States Sanitary Commission, began collecting monetary donations in order to supply Union soldiers with basic necessities and medical supplies. 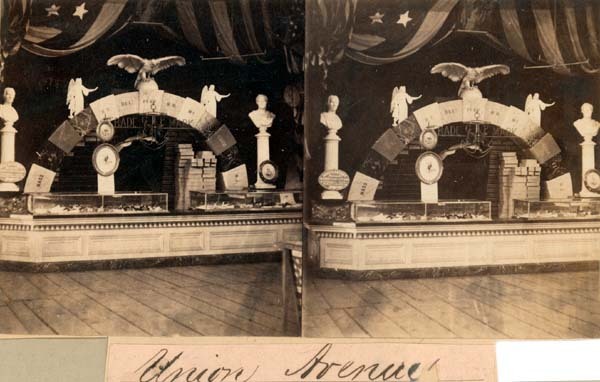 Although the Philadelphia branch raised $135,000 in the span of 2 years, the war effort demanded more supplies and support. 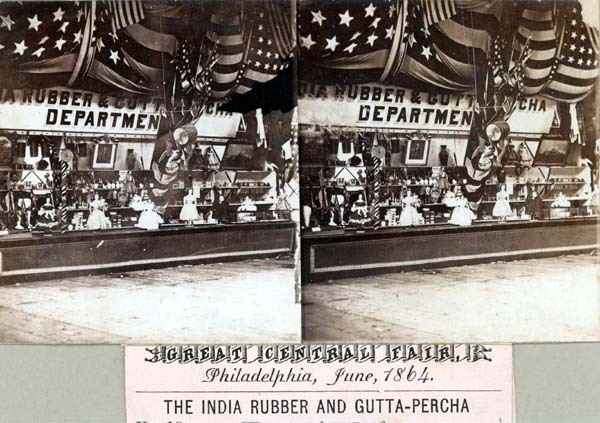 The success of Sanitary Fairs in Chicago, Cincinnati and Boston encouraged the Philadelphia agency to experiment with its own Fair in June 1864. 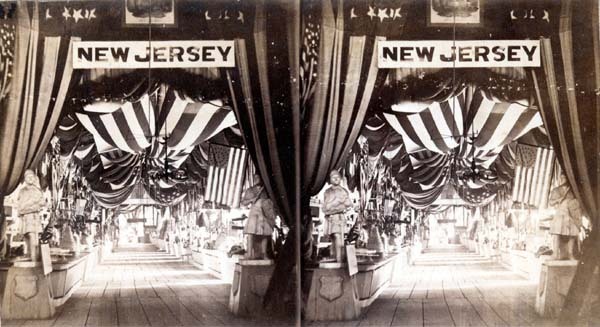 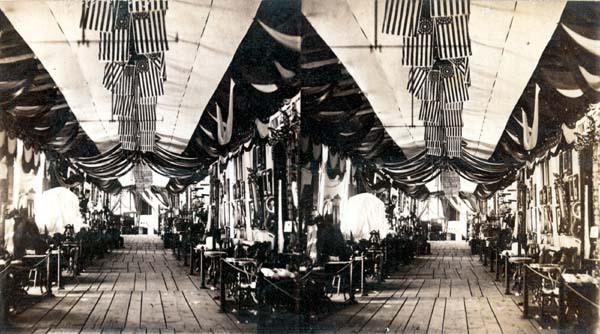 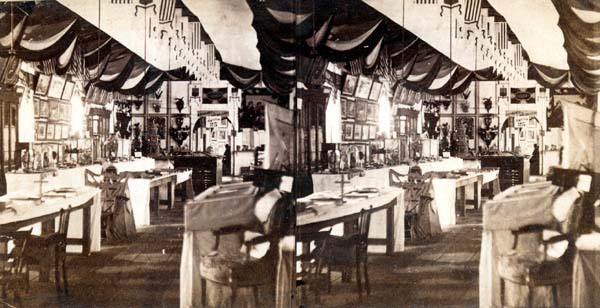 Local businesses and institutions donated their products and services to support the patriotic cause and exhibited a wide array of valuable goods and curiosities under one roof. 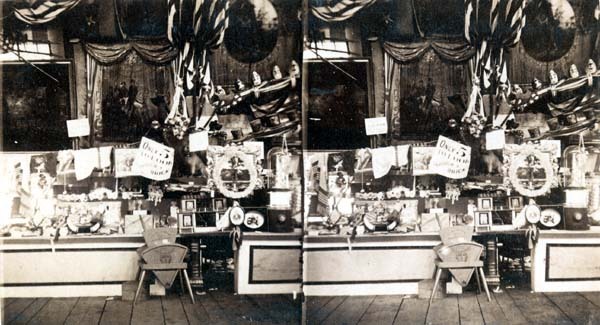 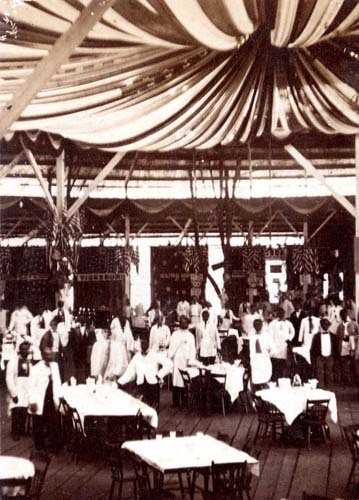 Although the Sanitary Commission asked all members of society to support their countrymen, the spectacle was limited to those who could afford the admission prices. 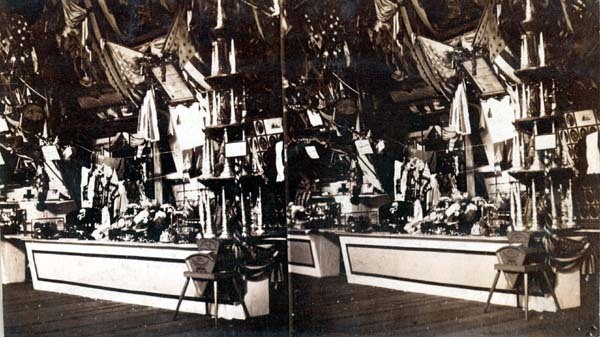 Logan Square was chosen as the site for the Great Central Fair since it was large enough to accomodate the main building, which encompased approximately 200,000 square feet. 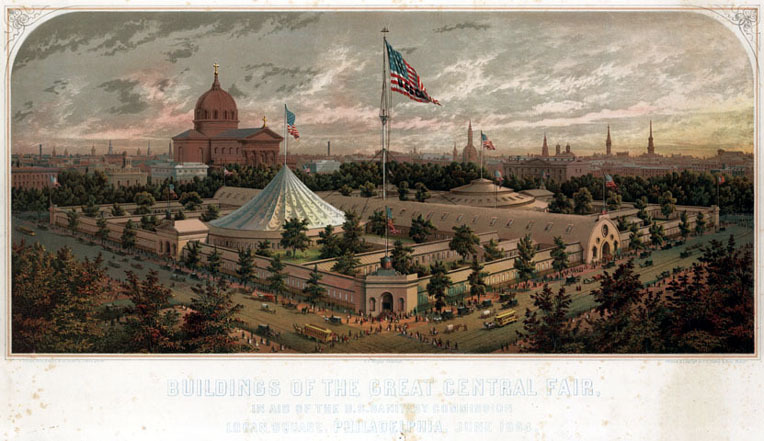 Strickland Kneass designed the symmetrical structure with Gothic details, the elevation and plan of which are pictured below. 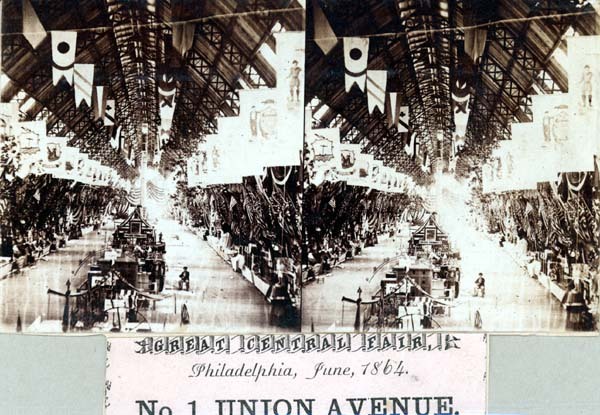 Union Avenue, the great central "Gothic" artery, bisected the Fair building from Eighteenth Street to Nineteenth Street. 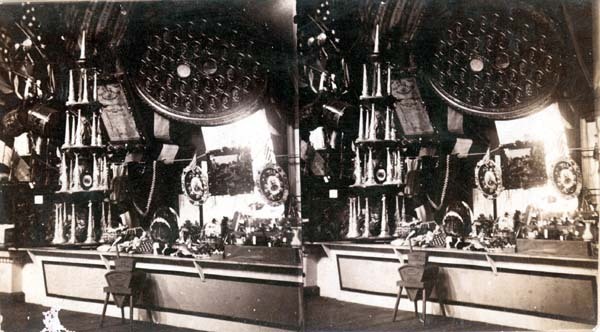 According to Charles J. Stille, who wrote a memorial of the Fair for the Sanitary Commission, "this great hall had all the vastness of the Cathedral's long drawn aisles and its moral impressiveness as a temple dedicated to the sublime work of charity and mercy." 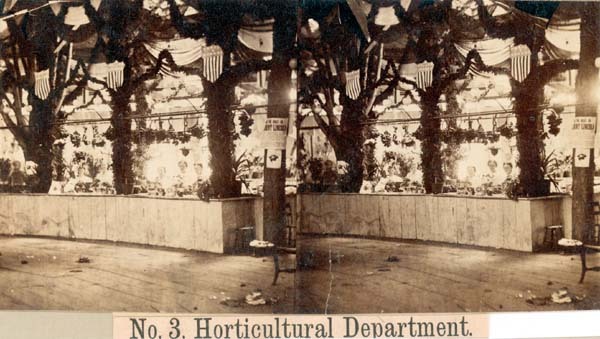 Various "departments" were organized along the corridors of this mini-town; many of them are listed below in the List of Departments and in the Subject Index. 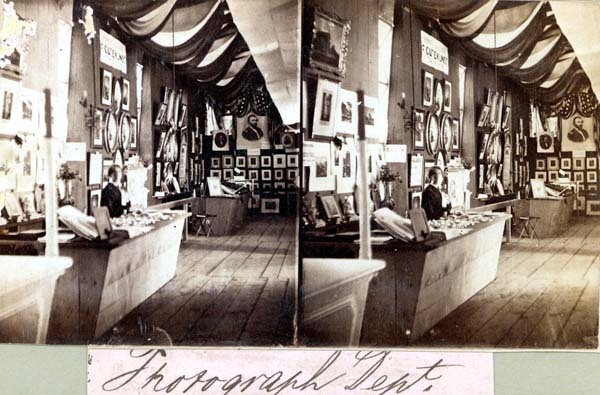 The Library Company's collection includes many photographs of the Fair's various departments. 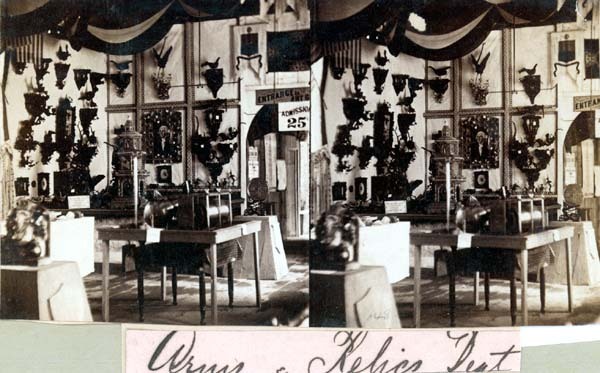 The images were scanned and listed alphabetically with additional information in the subject index below. 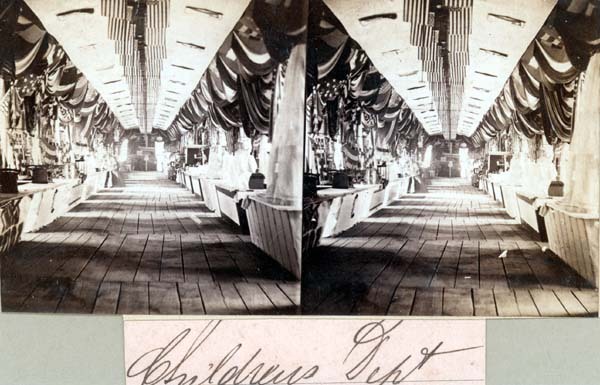 View the Plan of the Fair Building to get a sense of the spatial layout of the fair. 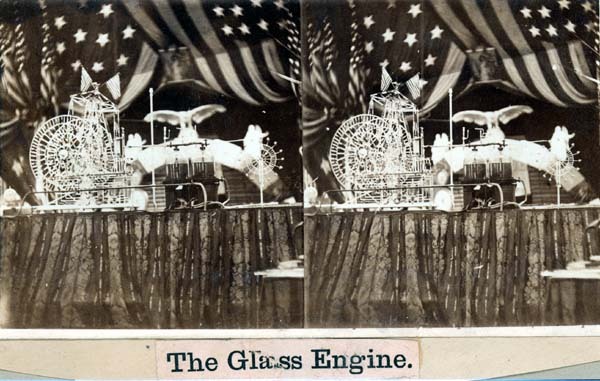 Each image can be viewed in a second window by clicking on the title in the subject index. 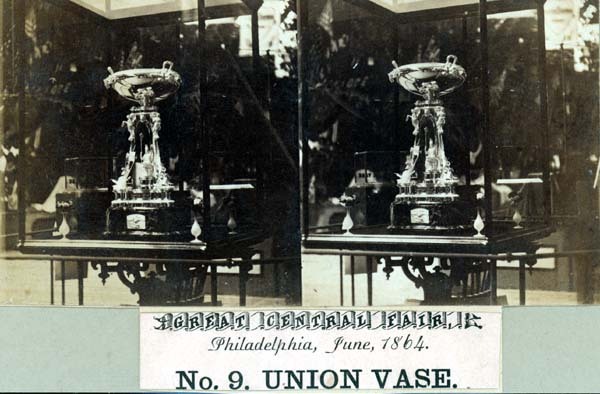 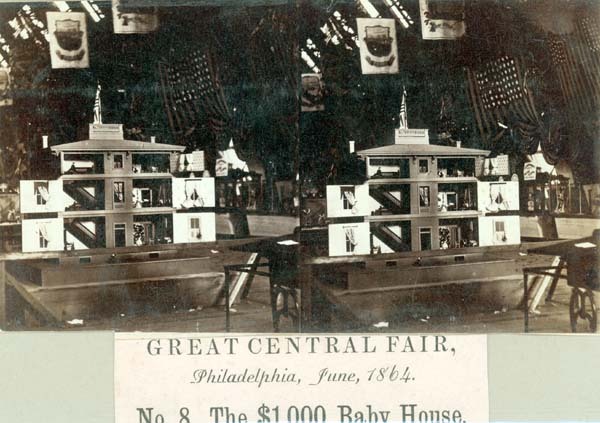 Many resources about the Sanitary Fair are also included in the library's book collections, such as Charles J. Stille, Memorial of The Great Central Fair for the U.S. Sanitary Commission Held at Philadelphia, June 1864 (Philadelphia, 1864) and "Our Daily Fair," the fair's daily newspaper containing detailed descriptions of the various departments.